A fantastic option for athletes. If you’re not particularly sporty, you will receive a benefit, but you may be better choosing a more all-rounder product. 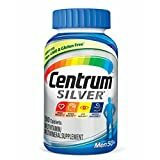 Sporting types will receive great benefit from the ingredients of this once a day multivitamin, which is specifically designed to boost ability. 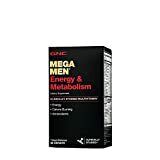 It’s all about muscle health with this particular product, which is available in two different size packages – 180 capsule size, and 360 capsule size. The price is very competitive, and the reviews are fantastic too, which gives you serious confidence in your purchase, whether first time or not. 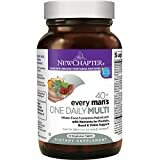 This is one of the most comprehensive multivitamins for men around, and it is aimed mostly at gym goers and athletes, packed with fruit and vegetable derivatives, antioxidants to boost your immune system, and vitamins to optimize your health overall. Your metabolism is boosted, and the complex gives you omega fatty acids which are fantastic for many different parts of your body, including the important things – the heart and brain. In addition, there are extra B vitamins added in, for cell renewal, and probiotics. 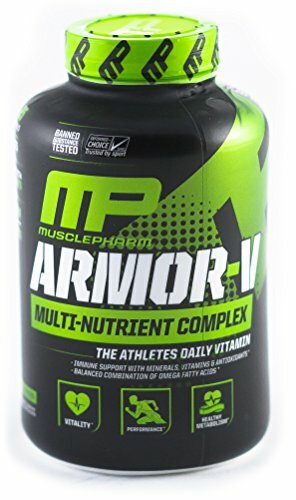 For anyone into weight training, athletics, or general sporting endeavors, this is a great product to opt for, with proven results.